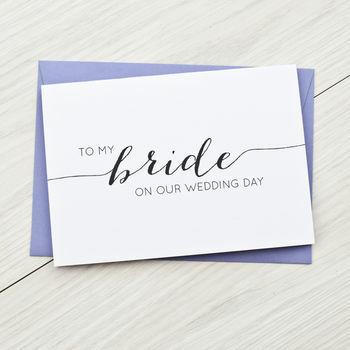 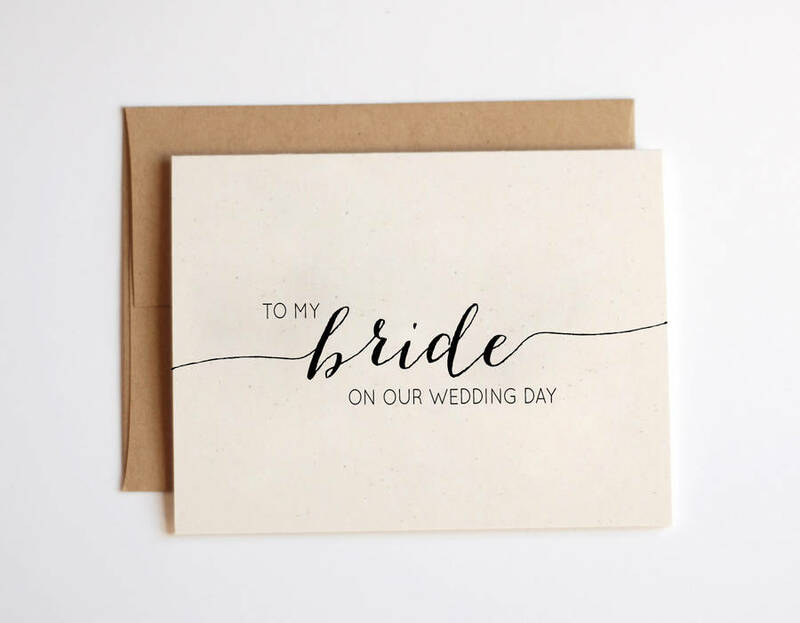 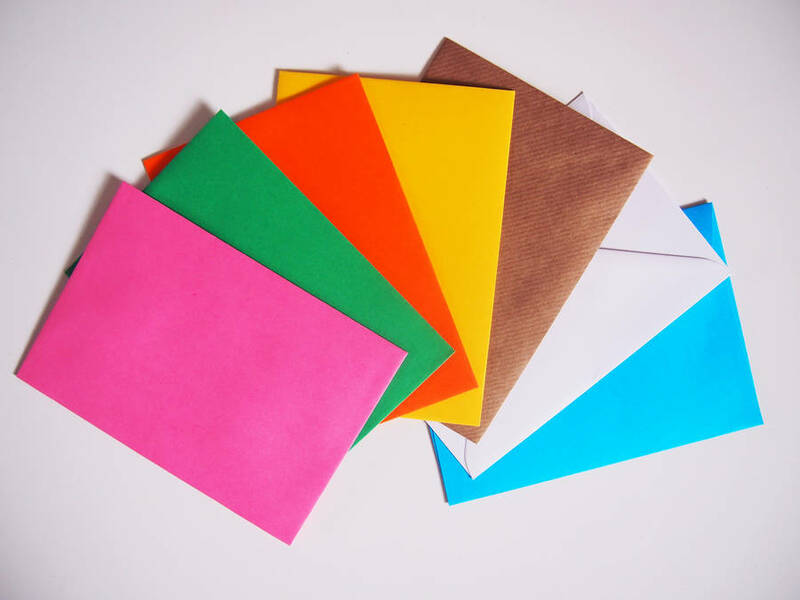 A gorgeous, simplistic card to your bride on your wedding day. 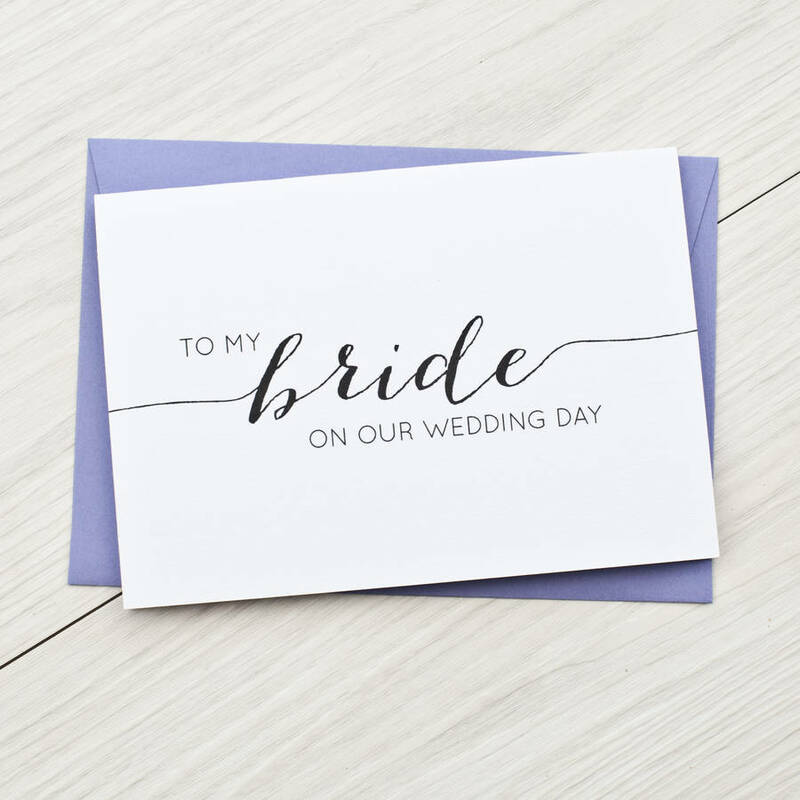 This simple-but-effective card is the perect way to tell your bride how much she means to you on the morning of your wedding! 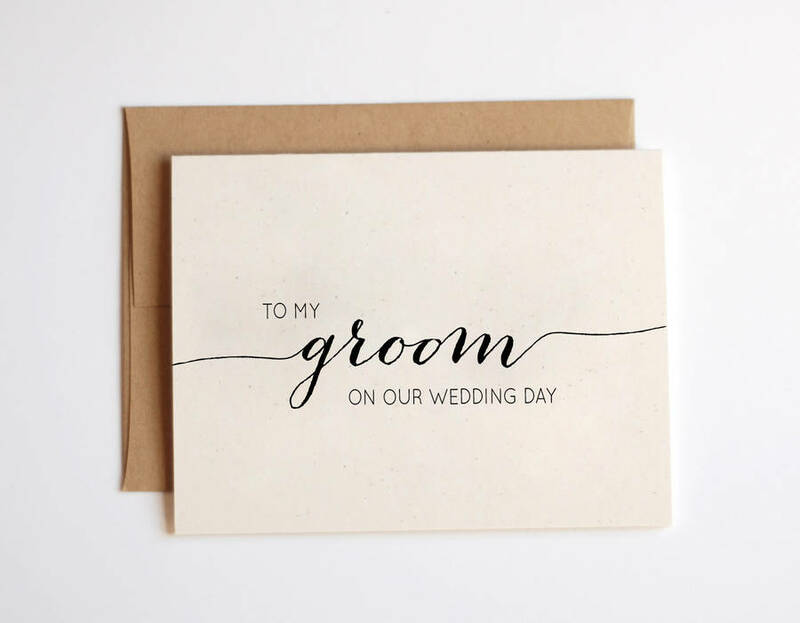 Please choose from bride or groom.